I’m not a ticker by nature. You know tickers, right, those bird-watchers who have the list in their back pockets, and are all too delighted at each new sighting to check another one off the list. Yellow warbler, good, that’s done. I worry about those people. I sit up at night, fretting over the shallowness of that experience. Is that all they want, I agonize, just to check it off and be done with it? I suspect that some readers are the same way. Read it, read it, read it. Done, done, done. What’s next? Where’s the reflection? When did it become a race? Better to read one book well, and deeply, than to race through a dozen. By the way, you know where that quote’s from, right? Only one of the greatest poems ever. I thought The Chocolate War was brilliant, expertly written, full of youthful rebellion, combativeness, anger, sorrow, energy, brutality — and still timely today. A stunner, frankly. There are not many times when I feel I could have written someone else’s book, and it would be misguided and presumptuous for me to say that here, but I did feel a kinship with Cormier. I understood him down to my bones, recognized his choices, knew exactly what he was trying to achieve. 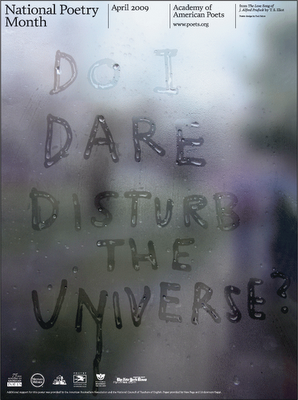 Cormier’s book is darkly beautiful, the characters vividly drawn, sharp and jagged. There’s the cold manipulation of Archie Costello, the puppet-master. Jerry’s confusion and inner conflict, his unresolved emotions, the way events took on a life of their own beyond any decision or intentionality. And all that catholic school stuff, yes, I remembered that, too. The 70s were my era, and the tone of this book rang clear and true. Cormier got it all right. The novel’s themes are closely connected to my own book, Bystander, but Cormier goes deeper, darker, older. If Bystander is right for middle school — a somewhat gentle introduction to bullying, a story that peers over the precipice but never makes that leap into the void — then The Chocolate War goes a step or two beyond, grades 8/9-up. It takes you into the black. Where I stopped short, by design, Cormier plunges bravely onward. Stop it, stop it. But nobody heard. His voice was lost in the thunder of screaming voices, voices calling for the kill . . . kill him, kill him. Goober watched helplessly as Jerry finally sank to the stage, bloody, opened mouth, sucking for air, eyes unfocused, flesh swollen. His body was poised for a moment like some wounded animal and then he collapsed like a hunk of meat cut loose from a butcher’s hook. On a different note, in my upcoming book, Before You Go, the main character, Jude, is a runner. I had to think about that, and describe his running, here and there, nothing much. A metaphor, for sure, alluding to deeper themes, but also something as concrete and specific as sneakers on the sidewalk. Well, here’s a paragraph from The Chocolate War. A quick description of a minor character, Goober, who likes to run. Want to read a great passage? The Goober was beautiful when he ran. His long arms and legs moved flowingly and flawlessly, his body floating as if his feet weren’t touching the ground. When he ran, he forgot about his acne and his awkwardness and the shyness that paralyzed him when a girl looked his way. Even his thoughts became sharper, and things were simple and uncomplicated — he could solve math problems when he ran or memorize football play patterns. Often he rose early in the morning, before anyone else, and poured himself liquid through the sunrise streets, and everything seemed beautiful, everything in its proper orbit, nothing impossible, the entire world attainable. Waterfalling! The noun as verb, the image startling and yet crystal clear, natural not forced. Waterfalling down High Street. Run, Goober, run. See Goober run. Liquid, waterfalling. 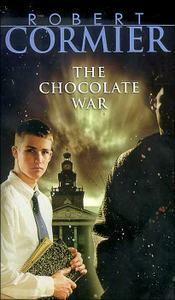 Saw on your blog that you finally read The Chocolate War. Amazing book, huh? It gets banned EACH AND EVERY year, as you can probably imagine, for being – and I quote from some of the language in the bans and challenges – “pornographic,” for foul language, for its “portrayal of violence and degradation of schools and teachers,” for its “blasphemy” and because it is “ humanistic and destructive of religious and moral beliefs and of national spirit.” One challenge, in a Georgia high school, cited “ I don’t see anything educational about that book. If they ever send a book like that home with one of my daughters again I will personally burn it and throw the ashes on the principal’s desk.” And my favorite, from someone who wanted to ban it because the ending was…get this…too pessimistic. A book like that, you just HAVE to read.